Want to Know What it Feel like to be a Minority Living in the USA? 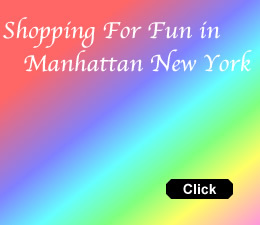 March 1, 2016 / Long Island City Neighborhood / Dance & Theater in the Bronx / Queens Buzz NYC. 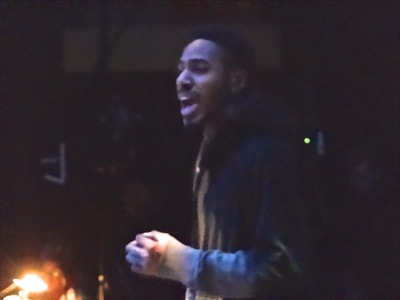 I attended A Black Lives Matter Play performed at the LaGuardia Performing Arts Center in Long Island City. 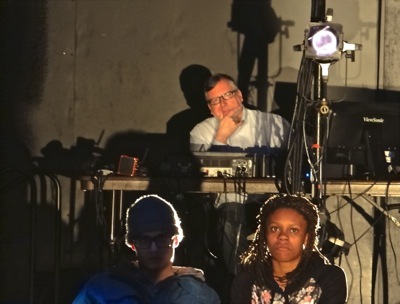 The play is part of a theatrical theme developed by LaGuardia College Performing Arts Center to explore the intricate mosaic of humanity that comprises American society. A wide number of the cultural composite represented in American society may be found in the culturally diverse student body at LaGuardia Community College in Long Island City. Last year the program focused on exploring Muslim identity in New York City. The intent was to provide a more holistic view of Islamic peoples than portrayed by the American media, whose primary depiction of Islam, a culture representing over a fifth of the world's population, is centered around those working in the field of terrorism. And by American media, it's important to include the Hollywood entertainment industry, which accounts for a huge portion of time people spend absorbing programs factually or fictionally portraying the world around us. The obsession with the more gruesome events and villainous people of a culture is not uncommon for the American media. One doesn't have to look far to find lopsided depictions of the culture of Italian Americans, through the obsession of those working as mafiosos, of Latin Americans as drug lords, and of African Americans, by depicting them as hoodlums. Enter LaGuardia Community College Performing Arts Center and 'Unpacking American Identity', which strives to use theater to educate, elucidate and eradicate the inherent biases and popular misconceptions disseminated via the unrelenting sounds, images and lopsided portrayals of the cultures of the members of their student body. 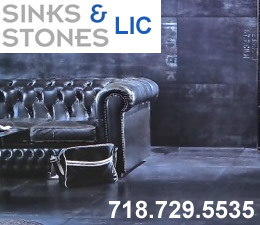 March 1, 2016 / Long Island City Neighborhood / Dance & Theater in the Bronx / Queens Buzz NYC. Continued. I entered the college and walked down the hallway to the Main Stage Theater. In the theater lobby there were a number of people mulling about, waiting for the theater doors to open. The performance was held on the large Main Stage, where with the curtain pulled, seating for about 50 was provided in an intimate theater space one might expect to find in the west village, excepting for the cathedral high ceiling. As we waited for the performance to begin, contemporary African American music was playing in the background, interspersed with speeches made by Dr. Martin Luther King and Malcolm X in the 1960's. There was a washed out flag hanging on the back wall, with an overlay inscription of 'Unpacking American Identity'. 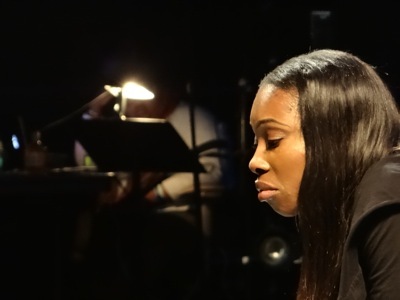 Co-Directors Steven Hitt and Stefanie Sertich came out to introduce the play, and off we went on our journey into the world of contemporary America, as it is seen today through the eyes of some of the African American students of LaGuardia Community College. The actors came out dressed in black hoods carrying numbers as they walked around the theater. 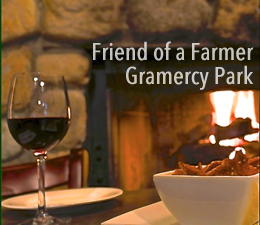 In the background, we hear talk about the American Dream. The dream encompasses opportunity, education, career, justice and religious freedom. To people of color is this real or is this a myth? To people of color is this really a dream or is it a nightmare? Several different points of view emerge. They challenge us to imagine how different life is, even today, for someone of color living in America. I begin to sense how different their reality still is, even with an African American, Barack Obama, in the White House. We change scenes and view an attractive African American woman acting out a traditional white suburban commercial. 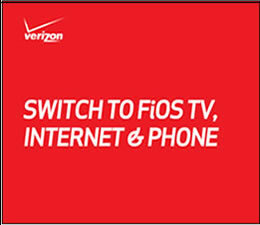 They take a break and she struggles to complete the commercial because it seems too phony. A Latina woman alludes to the current presidential race, where candidates reinforce derogatory stereotypes. She's a Mexican and she asks why the candidates don't talk about other aspects of her culture and people. She goes onto tell us that Mexicans have made other contributions to American culture like bringing empanadas and quesadillas into the American culinary mix [and it's worth mentioning that salsa long ago overtook ketchup as the #1 selling condiment [$] and that tortillas outsell hot dog & hamburger buns and tortilla chips outsell potato chips]. And she laments that all the hard work done by Mexican Americans makes life easy for the very people who criticize them. We're whisked off to a nightclub, where we're privy to private conversations, highlighting racial conflict and discrimination on a individual / personal level. The music stops as we listen in. Many people of color live in dangerous neighborhoods. They're criticized by some of their peers for trying to do the right things and make a better life for themselves. One of them laments that she's discriminated against because she's darker than many of her own peers. We're lead to face the issues faced by these students every day. To their underperforming peers they're a target and to white society / the police they're perceived as a threat. 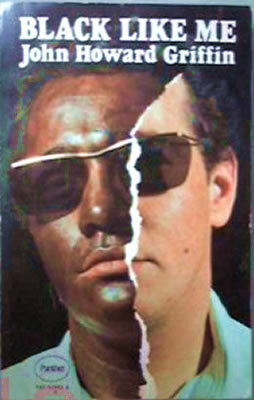 Decades ago I had taken a similar journey to see the world through the eyes of a colored man, through a book entitled Black Like Me, written by John Howard Griffin. Griffin, a white man, went through an arduous process to transform his skin, hair and facial features so that he looked like an African American. He then started traveling through the deep-south states of Louisiana, Mississippi, Alabama and Georgia journaling how different life was for someone of color. The book was published in 1961 and became a best seller. At the time African Americans had limited access to reaching a white audience, and for a moment John Howard Griffin became their voice. Today they have their own voices, as well as the ear of the current president, but the struggle for normalized relations - as you can see - still goes on. The play encompasses a variety of vignettes, including discrimination by African American parents against their daughter's white lover. They don't trust his intentions and they are afraid he's going to hurt her ... use her. We go to the hair salon as a woman chooses to dye her hair a lighter color. This leads into a soliloquy about African American features, curly hair, bronze skin and big lips. Human features that are both envied and derided. There's a 70's off-Broadway feel to the performance. 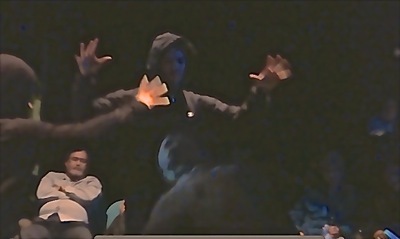 The directors used different theatrical techniques to create the performance. One of the techniques was to prompt responses from the students using key words to find associated meanings. For example, theprompter says 'Oppression' and the students say 'Black' or 'Woman' or 'Ethnic' or 'Immigrant'. Or the prompter says 'Police' and the students say 'Order' or 'Violence' or 'Safety' or 'Oppression'. At several junctures the actors and actresses break into dance and song, and a few brief momentary poetry recitals. Perhaps ever-so-slightly resembling the 1970's play Godspell. Co-Directors Steven Hitt and Stefanie Sertich said that the students worked through the choreography of the dances with some guidance, but primarily on their own. As mentioned above, some of the vignettes included poetry. They portray some of the feelings that people of color experience walking the streets, as some folks tighten up as they encounter minorities and yet also don't hesitate to ask them for assistance. This reminded me of a story about Barack Obama's white grandparents, who in some great measure helped raise him. His grandmother found herself fearing / not trusting African American people and her husband, Barack's grandfather, said that that is what their grandson, Barack Obama, experienced every day so she needed to work on changing that. And that she did. 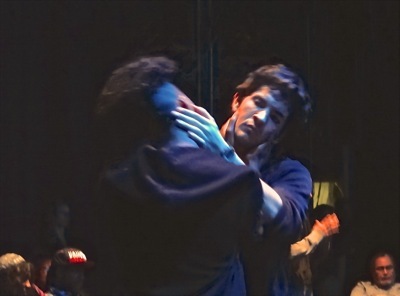 Another aspect of this production was the quality of acting done by the students. They had written the script, but the actors and actresses didn't necessarily act out what they had personally written. Nonetheless, theirs was a shared experience of prejudice, which enabled them to play their roles very, very convincingly. This was a case of art imitating life, because the students fused their life experiences into the art of the performance. The performance begins to take a dark turn. There's a vignette of two young African American brothers having a bad encounter with the police. One of the two brothers has had prior trouble with the police, and tensions between him and the officers rise. There's a struggle, and it doesn't end well for the African American brother who'd just graduated and received a diploma, as he was trying to put his life back on track. Actors and actresses float across the stage, reciting lines that are thoughts, streaming through the mind. It's an interesting piece of the performance as it's so familiar and yet, inside someone else's head, so hard to fully digest on a conscious level. 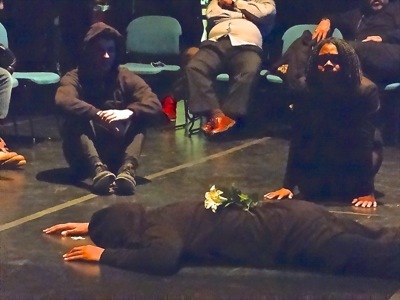 The most moving part of the performance is by a mother who loses her son who is shot by the police for being an African American in the wrong place at the wrong time. He's an innocent, and his mother sorrowfully recalls those precious little moments that comprised their daily connection, their daily love ... which she must go through the rest of her life without. She lost the one person in the world that she loved the most and the pain of the hallowed, hollow, emptiness is almost visceral. We return to the conflict between the police and the brothers. One has been shot and is lying dead on the stage as the actors and actresses surround him. Flowers are laid by his side, along with the diploma he had just received. 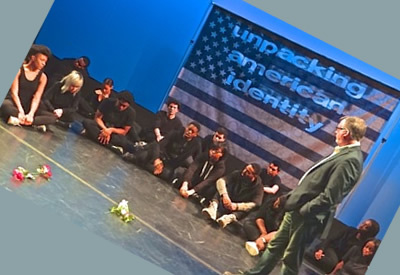 The young man's struggle in this theatrical production is part of a much larger struggle, as America is home to the largest prison population on the planet [the U.S. has 5% of the world's population and 25% of the world's prisoners: source NAACP], and the majority of them are minorities. According to the NAACP 58% of prisoners were minorities in 2008 and specifically African Americans are jailed at a rate six times greater than for whites. The performance ends as each actor leaves the stage while the names of people of color, who were unarmed, and who died in police custody, are recited. The mostly ethnic audience gave a warm applause. A talk with the audience followed, of which only a bit will be recounted here. There was a guidance counselor from the college in attendance and she commented that this seemed to be an extraordinary and healthy means through which students could express their feelings. She opined that it was a powerful mechanism to gain access and transparency into feelings inside, which left to fester might manifest in less healthy, creative and productive ways. "Black Lives Matter Because All Lives Matter"
And another comment was made by a member of the audience who said that we are all men and women, and "black lives matter because all lives matter". That sentiment has followed me through the days, and because of it's inherent logic and righteousness, it's a very powerful statement. After the performance I had an opportunity to speak to the Co-Directors, Steven Hitt & Stefanie Sertich, who with the cast, created the play. Steven told me that the intent of these pieces is to givevoice to those who have limited access to public venues to present their point of view - "giving voices to the voiceless", he said. Is there Racial Bias in Hollywood Oscars, & if so, What to do? Given the timing of the play and the coming of the Oscars, we discussed how our culture is still dominated by the white point of view. 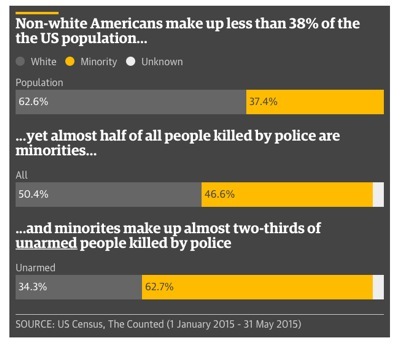 To be sure, this is reflective of whites as a percentage of the population as well - although in a disproportionate skew. I suppose one might ask whether preference for one group is discrimination against all the rest? I reckon there may be some truth in that question, but in a truly free society, one might also ask whether the relationship between population representation and cultural representation will ever be linear? It's also worth considering how one would go about trying to strike the balance between managing toward a natural skew [natural variation as in statistics] or managing toward the elimination of contrived skews which discriminate against specific groups, or favor one or a few groups vis a vis the general population. Sunday night Oscar emcee Chris Rock, an African American, dismissed Oscar white bias as not a 'real issue' vis a vis the issues of decades past, faced by African Americans who were struggling to gain fair access to education, housing and employment. It's possible, that relatively speaking for the general population of African Americans, this may be so. But that is not the case for the outsize population of African Americans doing prison time. 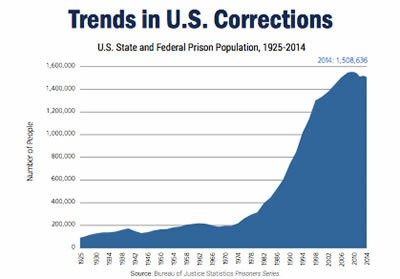 As you can see from the charts at right, the prison population has skyrocketed, even as the crime rates have gone down. Proponents for imprisonment would argue cause and effect, while opponents would argue the relationship of the imprisonment growth and crime reduction do not appear to be strongly correlated, especially over the past 15 years. Needless to say, this goes well beyond the time and resource I can dedicate to researching these issues at this time. But kudos must be given to the LaGuardia College Performing Arts Center for igniting the conversation. Nonetheless, it also appears that the time is ripe for anyone or any group considering the creation of a film awards program that is more culturally-diverse or ethnically embracive than the Oscars. 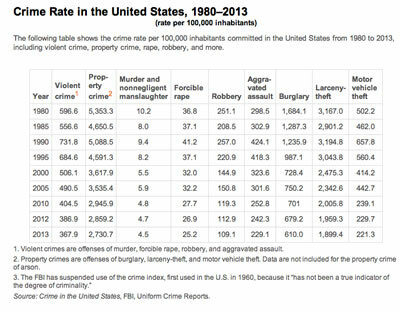 According to Slate Magazine,the prison population grew fivefold from 320,000 in 1980 to 1.62 million in 2009, even as crime rates went down [see graphics above]. Many prison services were outsourced and / or privatized during this period. In 1980 there were 5 privately run prisons, while in 2014 there were 100 privately run prisons, which now hold about 130,000 inmates according to the non-profit Kauffman.org. 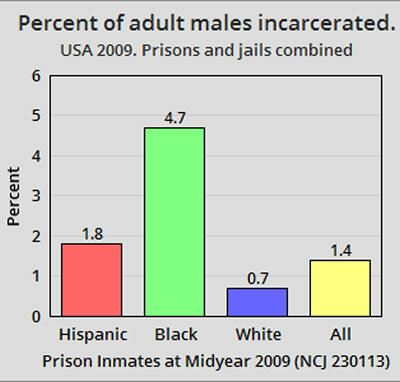 The graphic below right shows the 2009 midyear rates of prisoners versus the ethnic population rates published in June 2010 by the U.S. Bureau of Justice Statistics - which like the Oscars - appears to have an ethnic bias [Wikipedia]. Steven and Stefanie talked about some of the research the LaGuardia College students did while creating the play. They said that they and some of the students went down to the Kings County Courthouse in Brooklyn to watch proceedings to observe how color influenced treatment in the justice system. They noted that in some cases, very young men of color [18 - 25], were introduced to the Public Defender not very long before they were to stand trial, and were then coached by the Public Defender to plead guilty, which would tag the defendant with a criminal record, which would likely handicap them for the rest of their lives. They said this reinforced the importance of continuing to create A Black Lives Matter Play. As noted previously, African Americans are jailed at a rate six times the white population and the U.S. represents 5% of the world's population and is home to 25% of the world's prison population. The LaGuardia College Performing Arts Center production seems to rightly ask, American Dream or American Nightmare? It appears the answer to that question, in some measure, depends on the color of your skin. I asked the directors if they had received any input from the law enforcement community. I was told that they had invited several lawenforcement officials to come to view the play, but none accepted the invitation. However a memberof the Bronx District Attorney's office had seen the play, and thought it might be of interest to some of the people he knew. I did some research into the matter of law enforcement treatment of people of color vis a vis the general population and it appears that there's still some significant bias by some members of the police force. The chart shown at right was done by The Guardian, a respected news organization based in the U.K., covering the period of January - May 2015. One thought that occurred to me, while watching a civilian / police officer confrontation in the show, was that perhaps all kids should be taught how to behave when confronted by the police. I remember as a young adolescent being coached by my father to switch into an obedient mode if ever confronted by the police, and that I should save my arguing for later, in the court system. Based on the few encounters I have had with the police over the course of my lifetime, that advice has always served me well. And I have heard friends tell stories where they didn't adhere to that axiom, who wish they had. Somewhere in the range of just under one hundred to just under two hundred American law enforcement employees lose their lives annually while on the job [statistics vary by sources and circumstances]. I imagine the adrenaline kicks into high gear when on-duty police officers feel threatened, whether the threat is perceived or real. Perception. Reality. Sometimes it's difficult to discern between what's going on inside [perception] from what's going on outside [reality] - especially in high adrenaline situations. Mayor de Blasio, who is married to an African American woman, seems to understand that perception can be an issue in highly electric confrontational situations. The Mayor is father to two African American children, who like many [African] Americans, are of mixed ethnic blood. 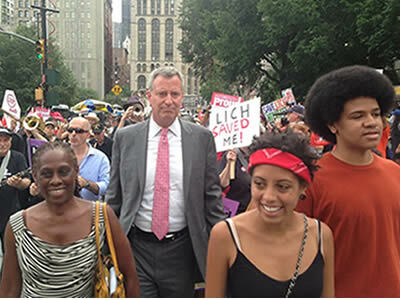 The photo at right shows Mayor de Blasio and his family [photo by Flickr user Bill de Blasio]. Because of genetic testing, it has been confirmed that President Thomas Jefferson or one of seven relatives was the father of the children of one of his slaves: Sally Hemings. 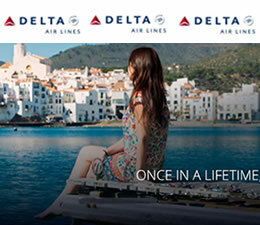 Many historians believe that it was Jefferson himself who was the father, based on the historic accounts from the time [including that he took her with him on a trip to Paris]. But apparently the genetics testing alone, without those other relevant accounts, would not hold up in a paternity suit today. Founding Fathers Benjamin Franklin and George Washington freed their slaves in their Wills, in some measure setting an example for future generations, but Thomas Jefferson never did. Benjamin Franklin also headed up an abolitionist [anti-slavery] group in Pennsylvania, and petitioned the Congress to abolish slavery, following the end of the American Revolutionary War. This year in his State of the City Address, Mayor de Blasio told us that the City had begun implementing a bias awareness program at the NYPD in an effort to help the police force become more aware of possible racial bias in their behaviors. The Mayor went on to note that we all have biases, and some of them may be buried in the subconscious level [perception], and hence are biases of which we may not even be aware. The training is designed to help folks better understand themselves, so they can be more effective people. Suffice it to say that we, as a society, have come a long way in the past century and a half. In the early 1860's African Americans were slaves. They were legally freed in 1863 with the EmancipationProclamation, but following the Civil War their rights were limited. The 1964 Civil Rights Act was passed outlawing discrimination based on race, color or creed and thus legally guaranteeing African Americans the same stature in society as everyone else. Yet even following the passage of this and several related bills in the mid 1960's, the discrimination continued - albeit on a far more sublte scale. In 2008 an African American was elected President of the United States, which is an incredible sign of how far we've come. But that said we still have further to go. 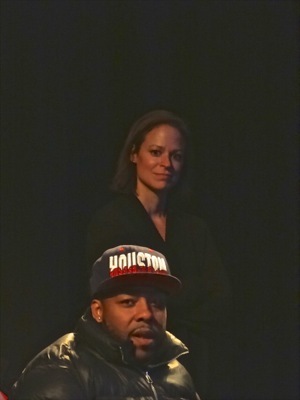 This play brought out some of the more individuated experiences and personal feelings, including depression, that continue to be a part of the African American life experience, while also referencing some of the broader national issues including the unfair, undisciplined, and at times lethal treatment of minorities by some law enforcement officials. One of the things that most struck me as I watched this play, was the huge significance that simple skin color plays in how we perceive others, and the negative bias which people of color might encounter every day outside of their own communities. Life can be challenging enough, let alone having to deal with embedded, automatic, negative treatment by others. Was it others' negative prejudicial bias that Michael Jackson spent years trying to bleach out of his skin? There's a Black Lives Summit at LaGuardia Community College on April 7th and they intend to perform this play again on April 6th. It's worth noting that the night of the second performance they had to turn people away, so you might want to rsvp your ticket(s) early. Actors and Actresses: Aliayh Murchison, Derrick Samir Guerrero, Matae Springs, Marquese Capers, Jacquise Burkett, Tramaine Bembury, Joshua Camacho, Alisha Francis, Pablo Florencio, Elijah Franze, Tyra Hardy, Helena Koudou, Eva Koziol, Mia Paula Raguro, Tanaja Sanford, Dyangels Peralta and Cheyenne Winley. 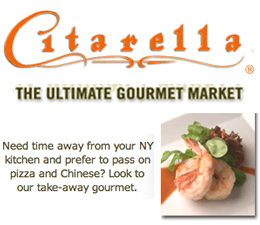 Click here to go to the LIC restaurants section of this site. 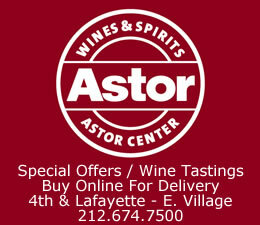 Click this link to go to the LIC Neighborhood.